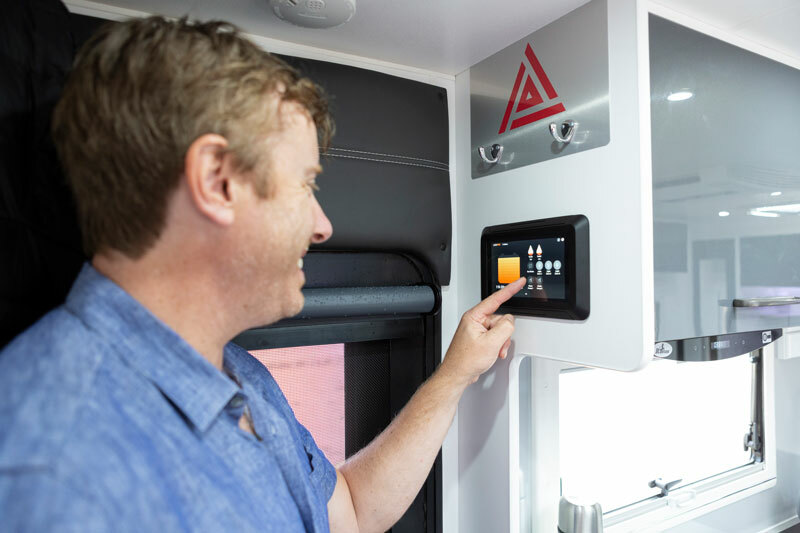 Melbourne, March 2019 – BMPRO launches Odyssey, a complete control and monitoring system with a touch screen display for effortless monitoring of water, temperature, power, and control of caravan onboard features. 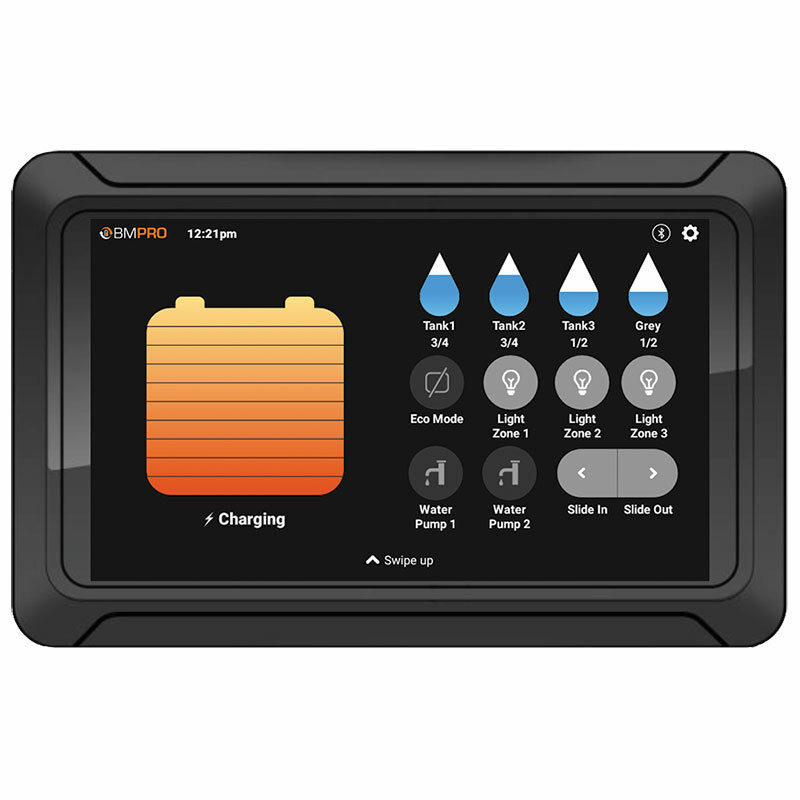 The sleek, in-built, app-driven console operates with BMPRO’s battery management system BatteryPlus35 via Bluetooth communication with the connecting node, which in turn is connected to the BatteryPlus35 via CAN Bus. The new, Australian designed and made by BMPRO system gives caravanners effortless control over caravan power, providing vital caravan information at their fingertips. Backed by smart Wi-Fi and Bluetooth technology, travellers can harness the power of solar and lithium more efficiently and free camp with confidence. They can also access the system manual from the touch screen. The first units have just been installed in top of the range New Age, Concept, Majestic and Bailey caravans. With the system available for caravan manufacturers from February 2019, BMPRO invites you to embark on a smart technology Odyssey.